Times are changing in the business and acquiring inventory is becoming increasingly difficult. With S&S Wholesale, you can utilize a reputable source of inventory acquisition and disposition. 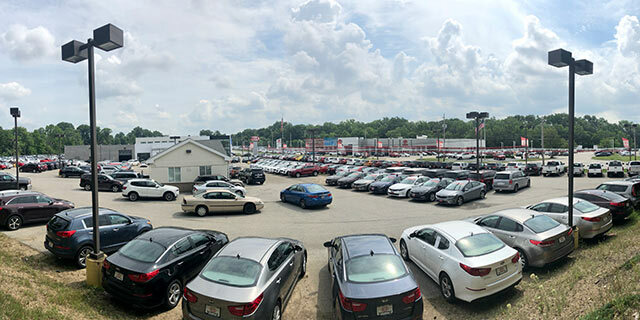 Our wide selection of inventory is sourced from our network of franchised dealerships including KIA of Bedford, Hyundai of Bedford, Chevrolet of Wooster, Summit Toyota of Akron, KIA of Alliance, and more. Since 2001, S&S Wholesale has been the industry leader in automobile wholesale. We understand that even though your day is busy at the dealership, you still need to source inventory. At S&S Wholesale, we make buying simple. Our online platform is updated with fresh trade-ins and inventory acquisitions as they arrive, making it easy for you to buy cars from your mobile device as it becomes available to the market! In addition to this wonderful technology, we also offer programs such as Floorplan Assistance and Guaranteed Buyback. We are an automotive wholesale company located on the historic Bedford AutoMile. Since 2001, S&S Wholesale has been an industry leader in pre-owned vehicle disposition.